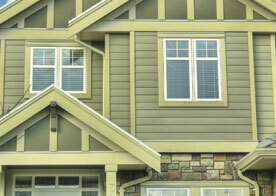 Cambridge Exteriors is the go to location for all of your home remodeling and renovating projects. Our trusted team of remodeling contractors are able to provide you with the services and craftsmanship that you need to complete projects that you’ve dreamed up. There are plenty of reasons that working with us ism something that you should feel confident in, and we’re excited to stand by them as you get started with your remodeling project. 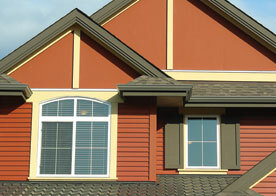 Cambridge Exteriors started out as a roofing repair business that was looking to take storm of the market. It has been more than 20 years now that we’ve been in the business, and we’ve definitely strayed from that initial goal to become the remodeling company that we are today. Over the years we have perfected our craft, explored new areas of remodeling and renovation and evolved into the business that we are today. By developing these skills, we are able to provide you with all of the services that you need, under one roof. The most exciting part of remodeling a space is that you’re able to design and create everything that you need, with our help. We will sit down with you and determine what components of your current layout are not working with your lifestyle. After we’ve determined what types of things are creating a disruption in your space, we will work together to find solutions for these problems and incorporate them into the design that we work on together. Our goal is to provide you with a space that works for you and all of your needs, so we will work with you to ensure that this layout is everything that you need. From there we will move on and begin the material selection process. All of the materials that we use are going to be from the leading suppliers in each of these industries, so you can count on not only having a space that is beautiful, but one that is going to outlast the daily wear and tear that will happen in this area. 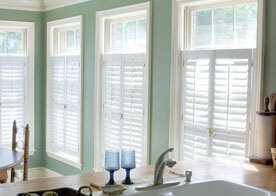 The primary focus here at Cambridge Exteriors is to make your remodeling project one that you enjoy. We are able to increase the chances of that happening by being upfront and honest with you throughout the project. We will sit down and review the space that you are going to be remodeling and discuss the size of the space, the materials that you’re going to use and the projects that are going to be done. Doing so allows for us to provide you with a realistic timeframe of how long this type of project will take to complete, as well as a budget that could realistically care for all of the features that are going to be added to the home remodeling project. If you’re ready to get started on your home remodeling project, call the Cambridge Exteriors office in the Jersey Shore area and set up an appointment with one of our remodeling contractors. We can’t wait to sit down and start creating your new space.